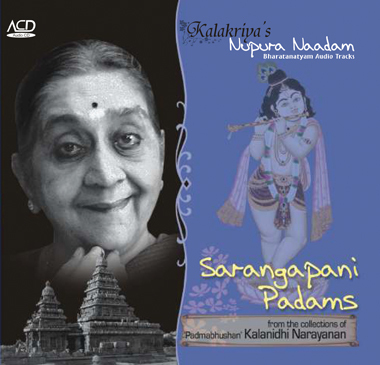 This audio CD presents an exclusive collection of padams by Sarangapani, the famous 17th century composer. Handpicked by 'Padmabhushan' Smt. Kalanidhi Narayanan, the distinguished Abhinaya exponent, they celebrate the exploits of Lord Krishna and come in handy to choreograph any thematic recital on the Lord. A collectors item with classical value, it is sure to regale Bharatanatyam buffs.